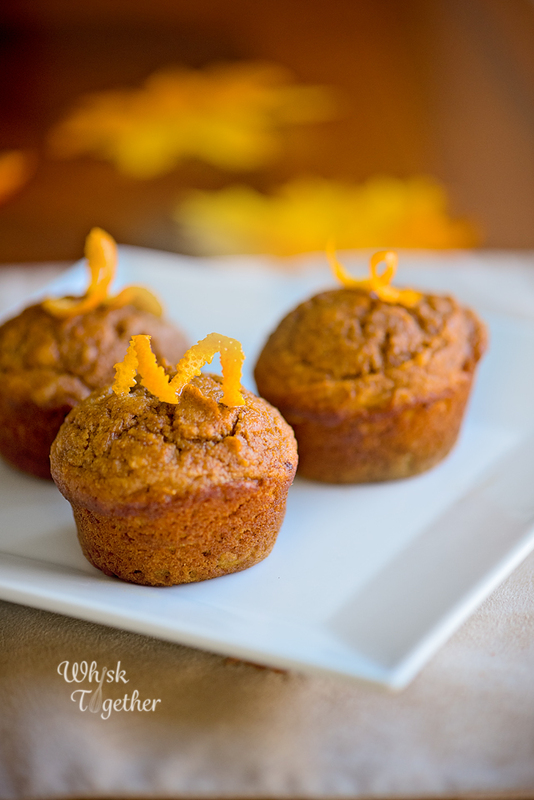 Pumpkin Ginger Muffins with Orange Glaze & Free Halloween Printable! The stickers are totally FREE and PRINTABLE! 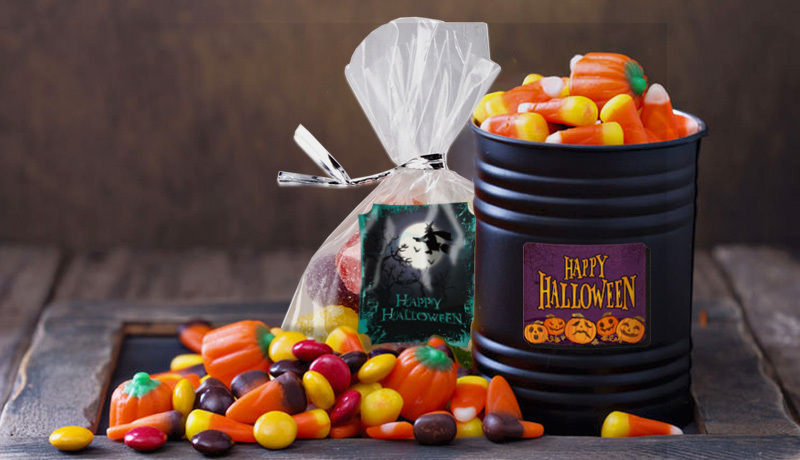 There are a lot to choose from, so you can use them for parties, treat bags, or home decoration! Now with the recipe! This bread is from King Arthur Flour who makes the best flour and the best recipes. Everyone in my family LOVED these and ate the whole batch in just a couple days! I made them as muffins since that makes it easier to make into lunchboxes. But, you can make this recipe as bread, mini loaves, as mini muffins, in a donut pan – anyway you like! Spray or grease 18 muffin cups, or 2 – 8.5″x4.5″ loaf pans. In a great big bowl, stir the brown sugar and butter until mixed thoroughly. Add the dry stuff: flour, baking powder, baking soda, salt, spices, ginger and optional nuts/chips. Mix until incorporated. Add the eggs, molasses and pumpkin. Stir until everything is incorporated. 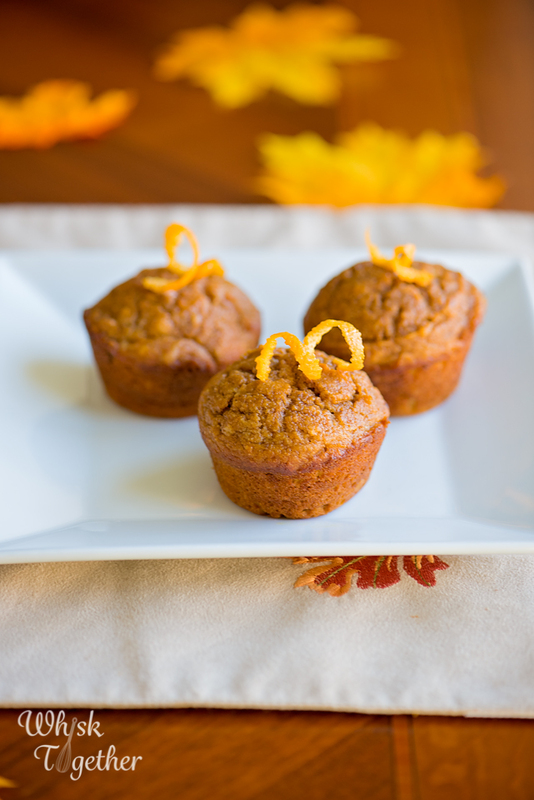 Add the batter to the loaf of muffin tins and fill 3/4 full. Bake muffins 17-20 minutes. Bake loaves 50-55 minutes. I use my toothpick to test the middle of the muffins to see if it comes out with no batter on it. Once done, cool on a cooling rack for 10 minutes. Then, remove from the pan and allow the bread or muffins to finish cooling on the cooling rack. To make the icing, mix the powdered sugar, zest and 1 Tb. of milk in a medium sized bowl. Stir with a fork and add the remianing 1 Tb. milk as needed. Remember a little milk goes a long way! Drizzle onto the cooled bread. Ta Da! This bread freezes well if you wrap it in plastic wrap and them seal in a freezer bag. Or store in an airtight container 3-4 days. 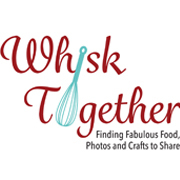 Welcome to a Whisk Together Original!!! I hope everyone is doing AWESOME!!!! 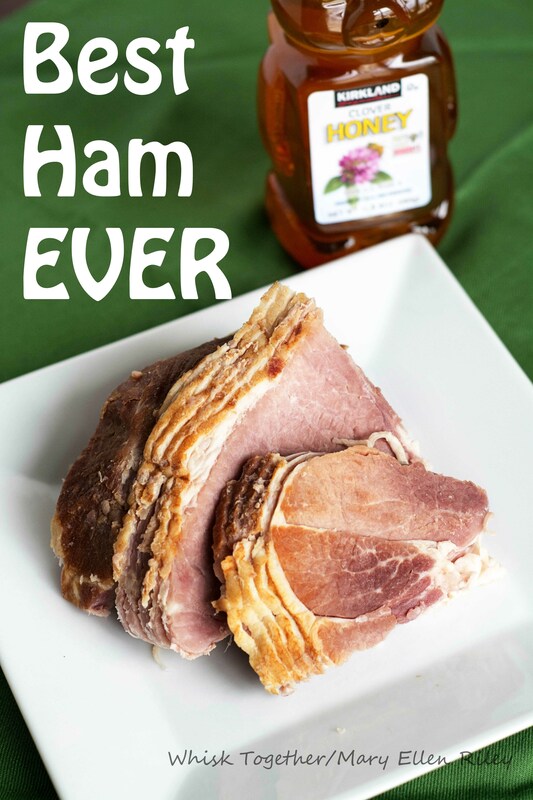 Here is a new simple and easy recipe that we all loved! 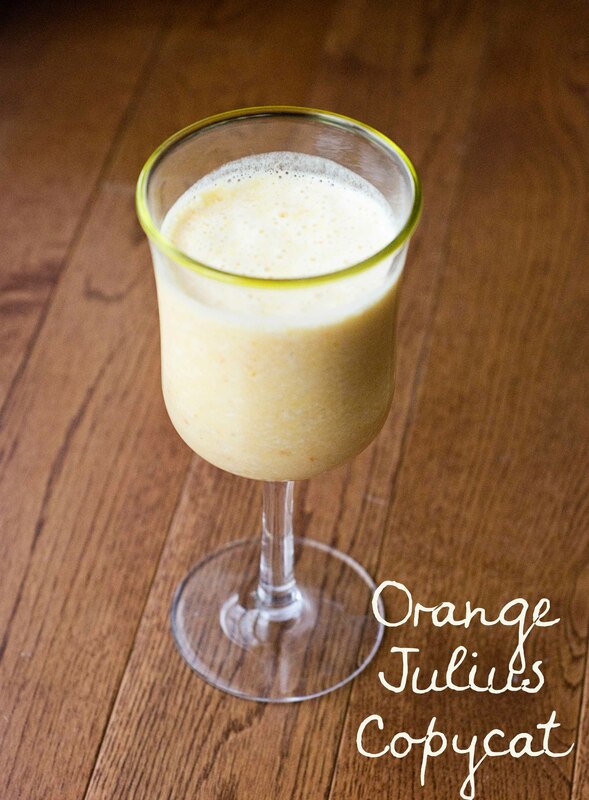 I had some extra oranges leftover and didn’t want to make an orange julius copycat recipe for breakfast. 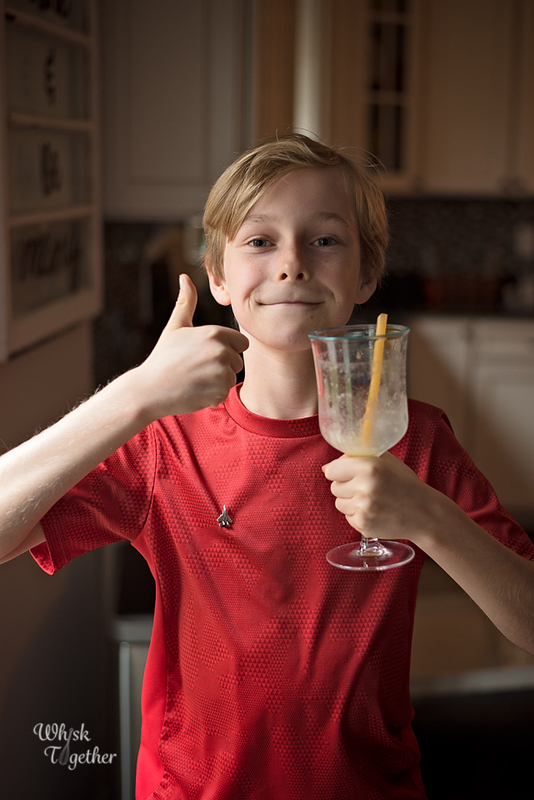 Instead, I threw some of my kids’ favorite items into the blender and they LOVED it. And I loved it because they got a healthy dose of real oranges, mango and vitamins. Since going back to work full-time this year, mornings are a little bit different. No more coming home to clean up or finish a task. We have 3 breakfasts and 3 lunches to make! So I listed some ways to get these smoothies into your morning routine. They would also make a great snack! Freeze the ingredients into baggies. Allow to thaw while you get ready or microwave them for 30 seconds. Then add to the blender! I know smoothies are not a “winter” type thing. But oranges are in season right now and Aldi has them at $3.99 for a huge bagful. If you won’t use them in time – just peel them and freeze them! Yes it will work in a smoothie. I wouldn’t recommend eating them after being frozen, but in a blender they will be just fine. Wash the outside of the oranges with soap and water. Peel the oranges and place the segments in the blender. Keep the peel! 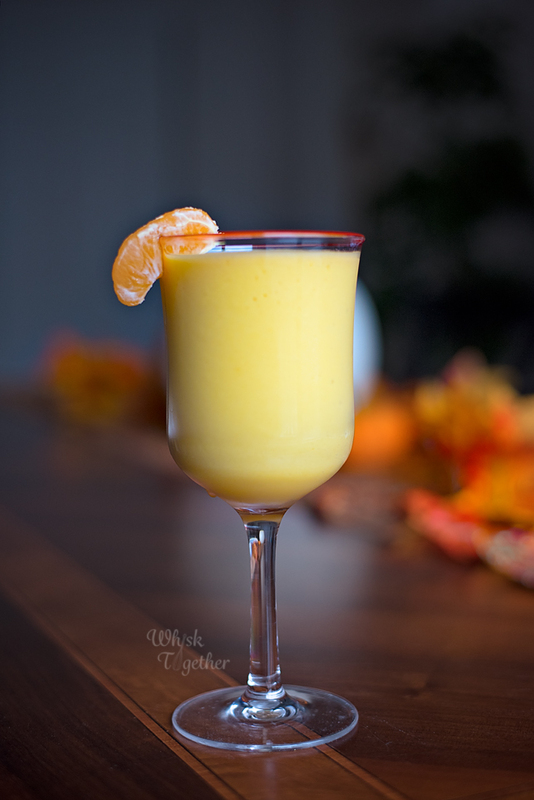 Place a 1″ square of the orange peel into the blender. Place the rest of the ingredients into the blender in the order given. If you are using large frozen chunks of mango, I usually microwave this for 30 seconds in order to give the blender a break. 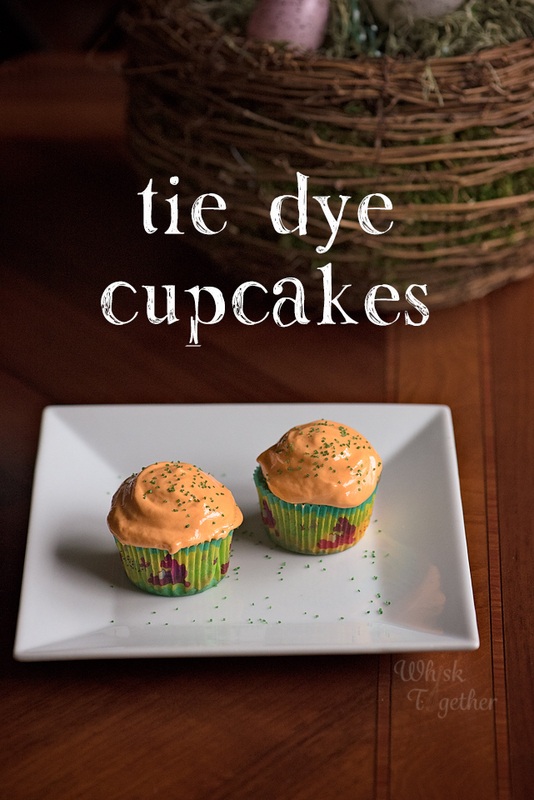 Like these cupcakes…. this book has a surprise inside! This book reminds me of pop-up books as a child. The book is filled with envelopes that you open and reveal the message. One page will state “open when you are feeling stressed” and you open it up to find your message. 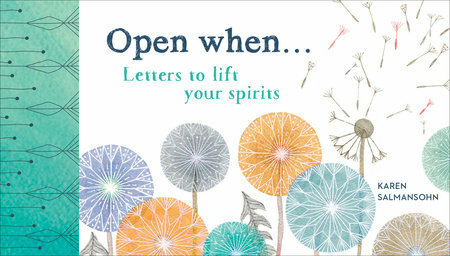 Another page is “open when you want to get centered.” Some of the responses are short and some a little longer. It is funny and short and I think some people would find it helpful to have on their desk. It would be a fun coffee table book as well. A few negatives about the book is that it is really short. I expected lengthier responses or more pages. It isn’t made to a true self-help book as more of a quick pick-me-up. I would give it 4/5 stars. I received a review copy of this book from Blogging for Books in exchange for an honest review. Thank you for allowing me to review. We saw a tie-dye cake made on the Kids Baking Championship on the Food Network a few weeks ago and the kids wanted to give it a try. I’m not a huge fan of overly buttery buttercream slathered on cake, so I made a 7 minute frosting instead and forgot how delicious it was! 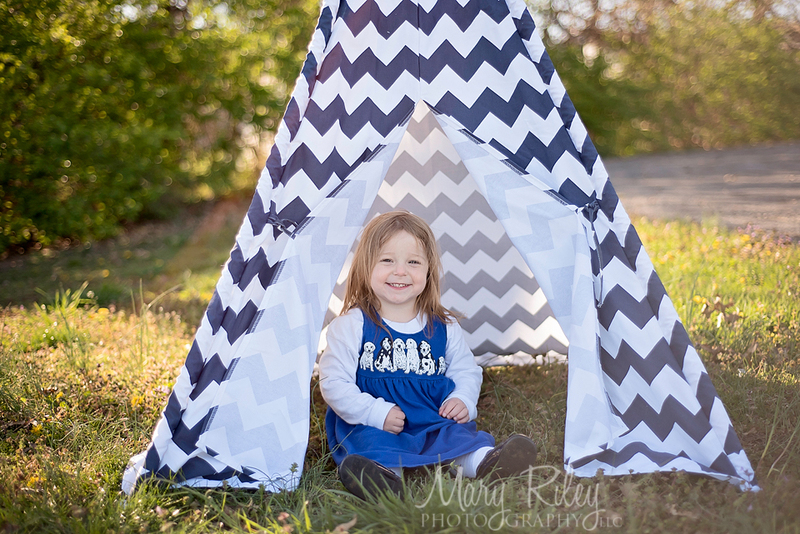 Marshmallowy and light and sweet! 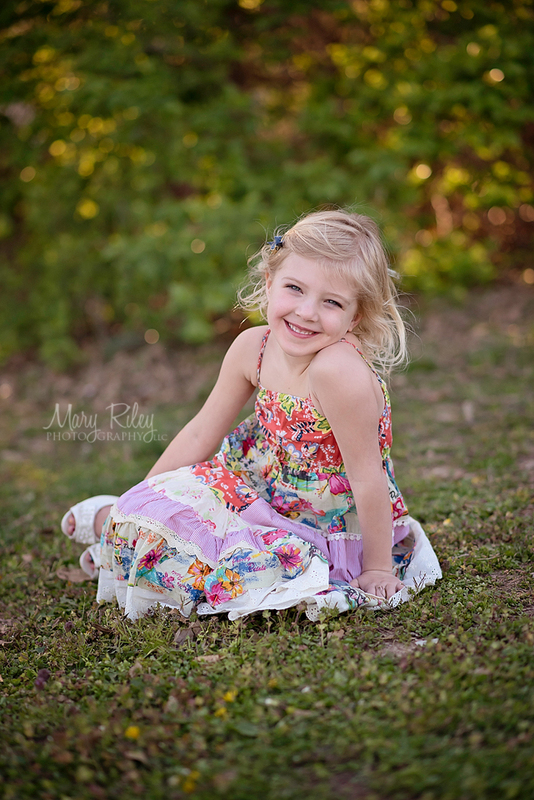 It is perfect to go with the perfect springtime cupcake! This cupcake recipe is perfect for spring! It is simple to make and light. The crumb is fine and the cupcakes bake up beautifully. My 10 year old made the recipe himself. The flavors are bright and happy citrus flavors. Preheat oven to 350 degrees. Line the cupcake pan with 12 liners. In a mixing bowl, mix the dry stuff: sugar, flour baking powder, and salt. Beat in the butter by adding it slowly and mix until it forms crumbs. Add the wet ingredients: milk and extract. Mix 30 seconds on low. Mix 30 seconds on medium. Add eggs 1 at a time. Mix on medium speed until the batter is smooth. 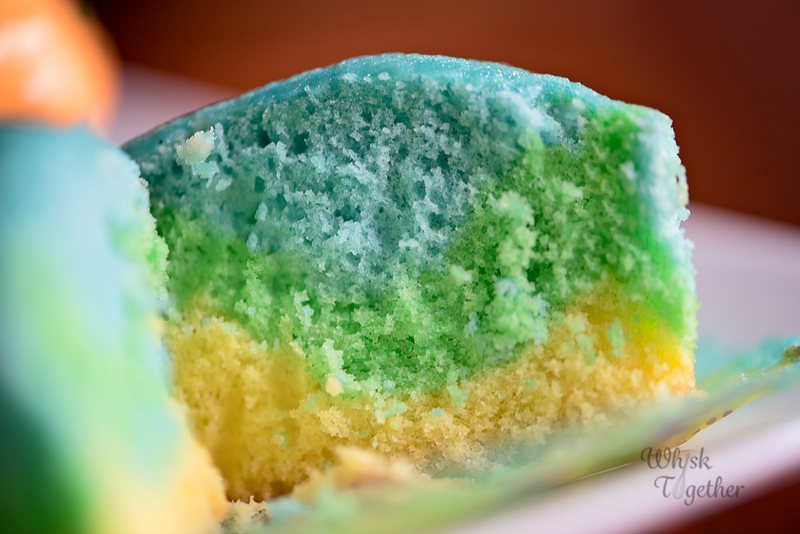 Divide batter into three bowls and mix in food coloring. Divide batter evenly among the cupcakes. Swirl gently with a toothpick. Bake for 20 minutes or until a toothpick comes out clean. Cool for 10 minutes and then remove from the pan onto a cooling rack. Cool completely before frosting them. In your mixing bowl again, beat the egg whites until you have foam. In a saucepan on the stove, mix the sugar, water and cream of tartar. Cook this on medium-high heat until the mixture is boiling. Continue to stir until the sugar is completely dissolved – this may take a few minutes. Once the sugar is dissolved, turn the burner off. Turn the mixer on and get the eggs fluffy and foaming once again. While the mixer runs on medium-low, slowly pour the sugar water down the side of the mixer in one steady stream. Beat about 1 minutes and add vanilla. Beat another 4-5 minutes or the frosting forms stiff peaks. Good morning! 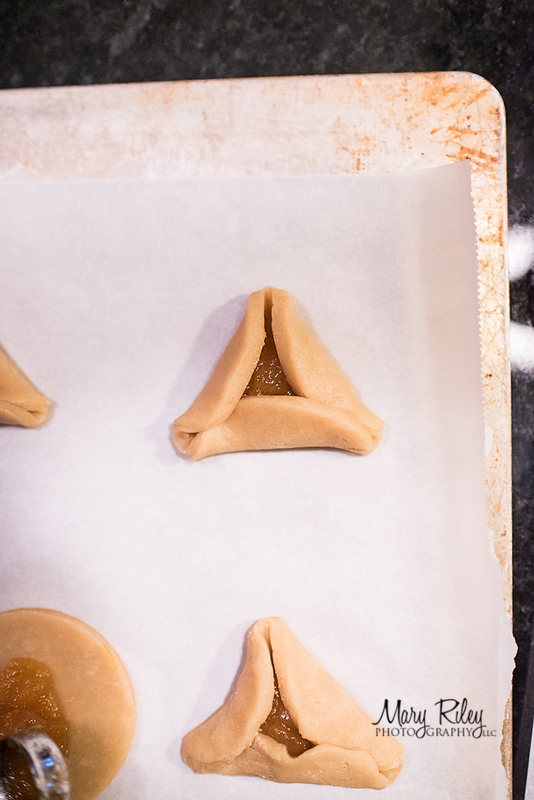 The recipe for this week is for my friend Jackie – she stayed with us for a week and Purim fell on one of those days. 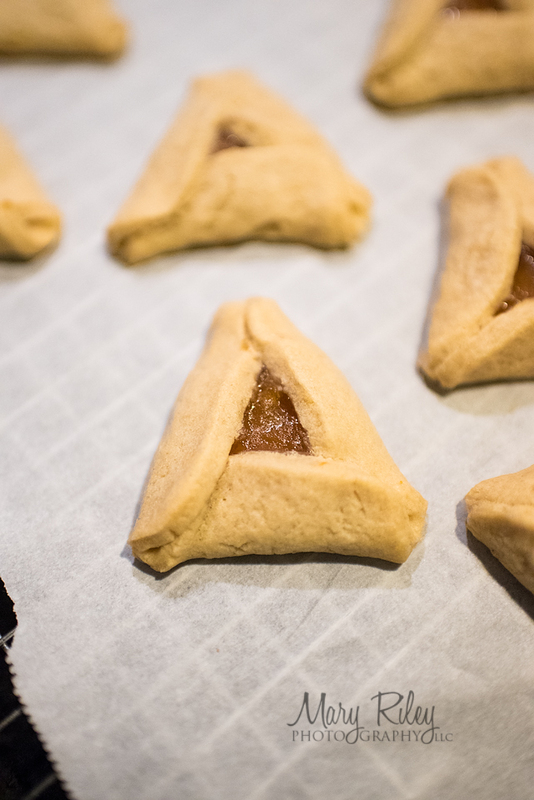 So, we made hamantaschen cookies. 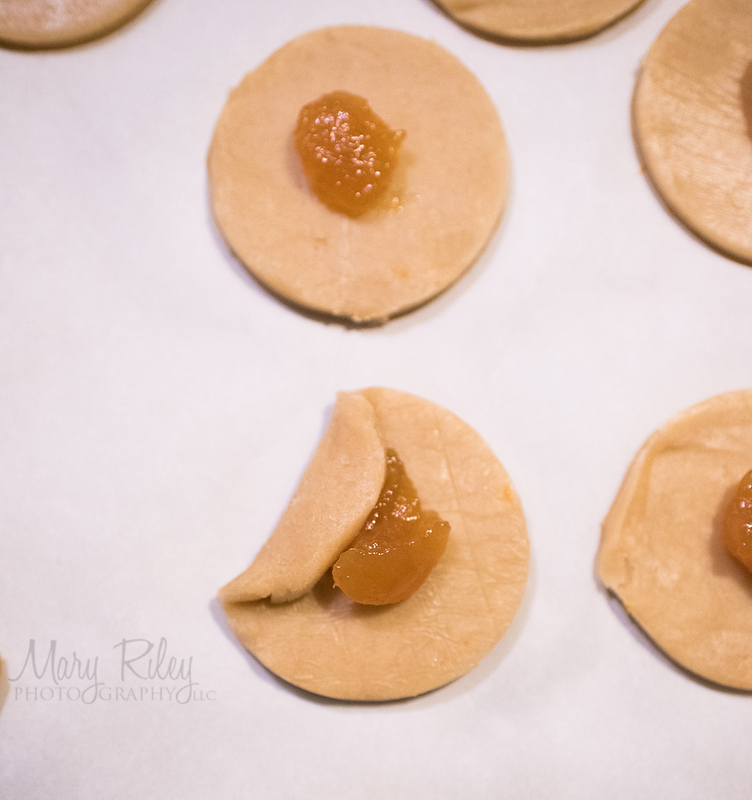 You may know them as Thumbprint cookies – and this recipe is SO easy and delicious! These cookies use orange zest which gives it that light, spring time taste and scent. Everyone here loved the cookies. What is also fantastic is that you can choose whatever filling you want. 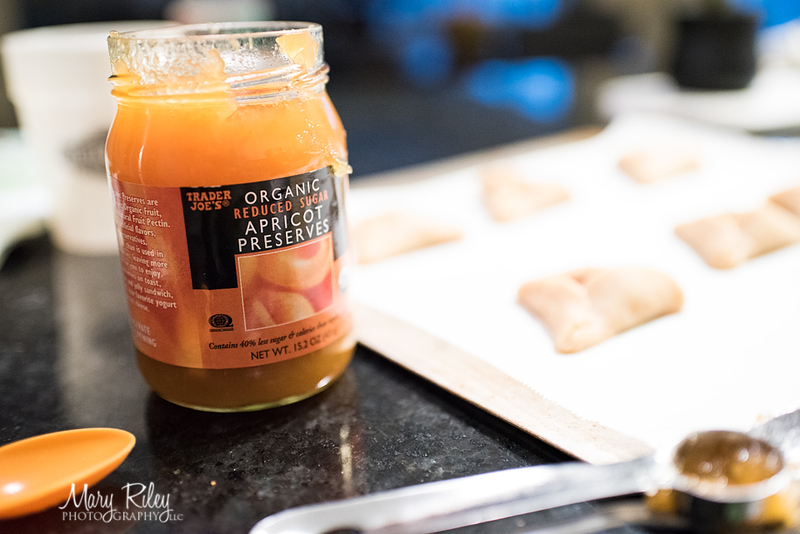 We used apricot jam because it is one of our favorites. But, you could make your own filling or use your own favorite jam. Or, you could use caramel apple filling, nut filling, poppyseed, or Nutella. The recipe begins like a typical sugar cookie. 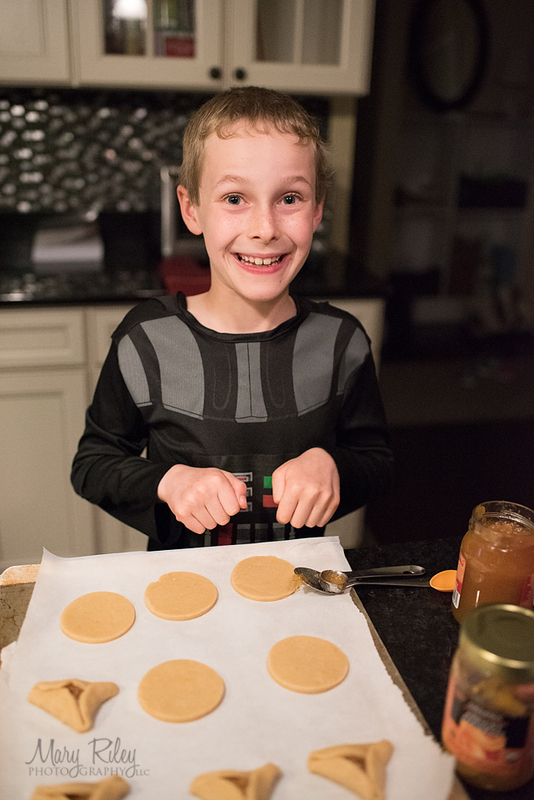 The kids had fun shaping them dough and forming the cookies. One of the great things about this recipe is you can really make it your own. 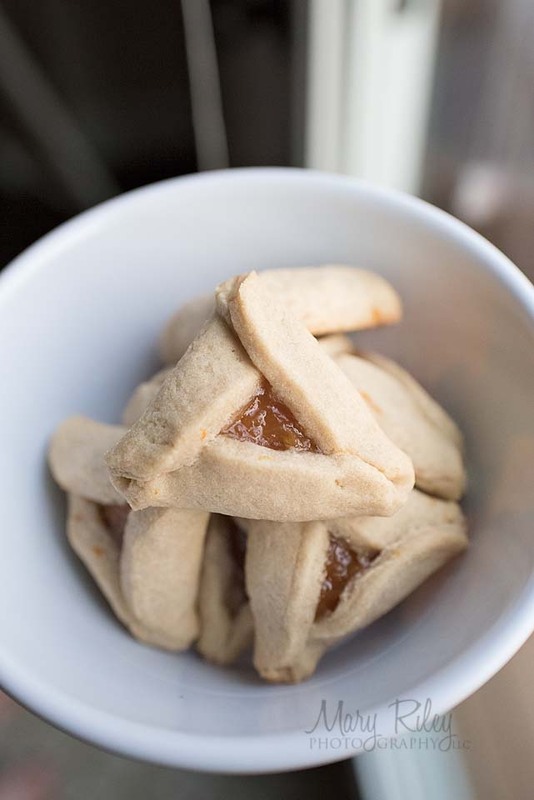 You can shape the cookies into triangles. You can fold them different ways. You can add your own extracts to the dough. You can create your own fillings. I used my Fiori di Sicilia extract in the dough with a little bit of vanilla. Plus, the dough is freezable! 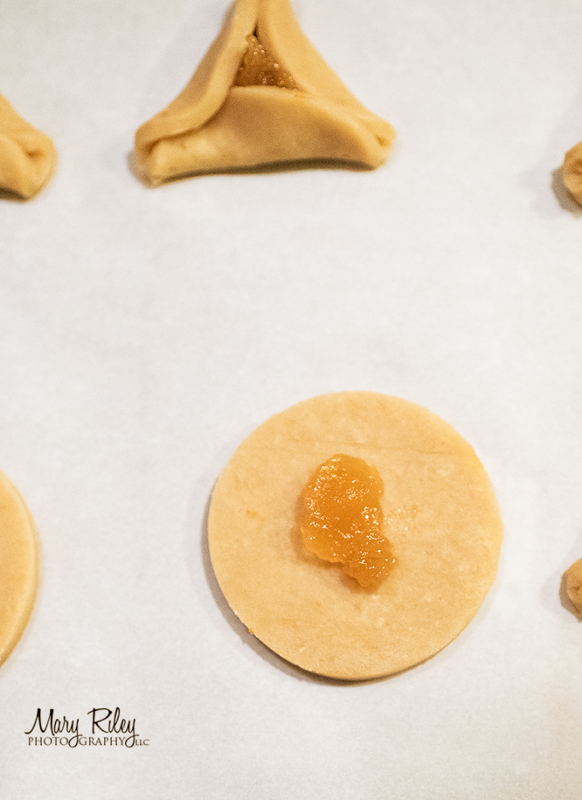 Step one: Roll out the dough between 1/4″ and 1/8″. 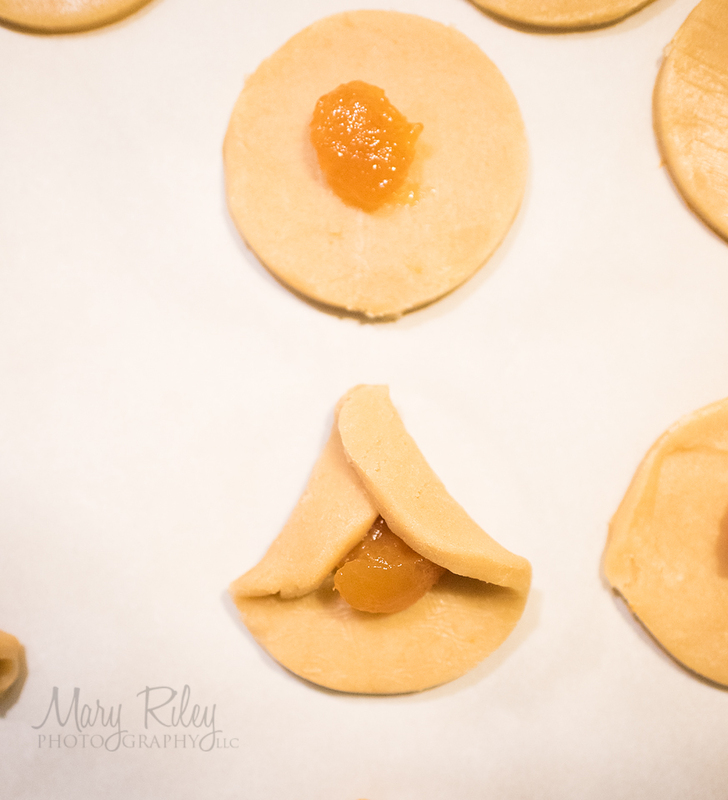 Step two: Cut the dough with a 3″ circle cutter or biscuit cutter. Step four: Fold one third of the cookie over – see photo. Step five: Fold the other side of the cookie over (one third). Step six: Carefully fold the last third over. Tuck in one side under the fold and fold over on the other side. The top of my cookie should have been tucked in side each other! Sorry about that. This way you get a pinwheel effect. Step seven: Bake, cool and eat! 1 cup of filling: fruit preserves, nut filling, caramel apple filling, poppyseed filling, etc. In a great big mixing bowl, beat your butter and sugar together until light and fluffy – about 1-2 minutes. Add egg, extracts and zest. Mix well. Scrape down the sides of the bowl. Stir in the flour and salt. Mix until just barely combined. It will be a little crumbly. At this point, you can use your mixer or your hands. Add about 2 tsp. of water and mix slowly. The dough should become a ball that is smooth and not sticky. If it is not smooth, just keep adding water 1 teaspoon at a time. Split the dough in half. Shape into a flat disk. Wrap in plastic wrap. Keep in the fridge covered for 2+ hours or chill faster in the freezer for 30 minutes. Preheat oven to 350 degrees. Prep a couple of cookie sheets with parchment paper, cooking spray or silicone mats. 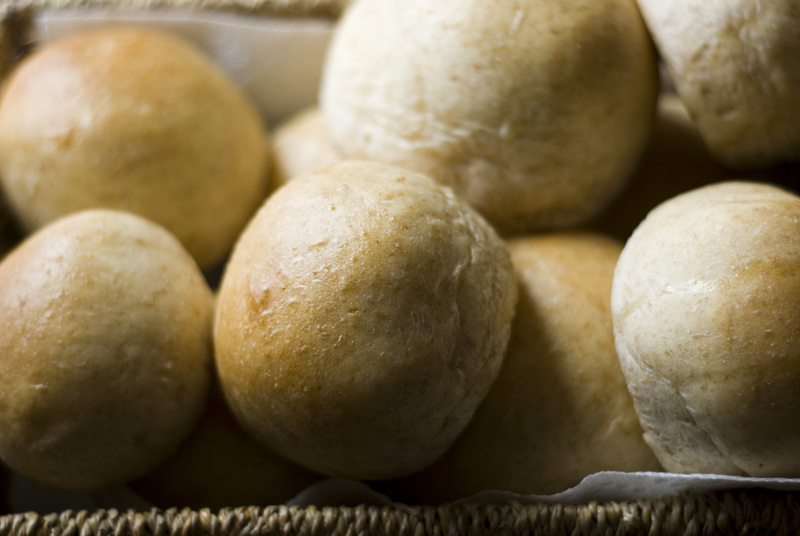 Roll out one disk of dough to about 1/8″ to 1/4″. 1/8″ is hard to work with if you are not used to it – but if you are go for it and you will get thinner and delicate cookies. 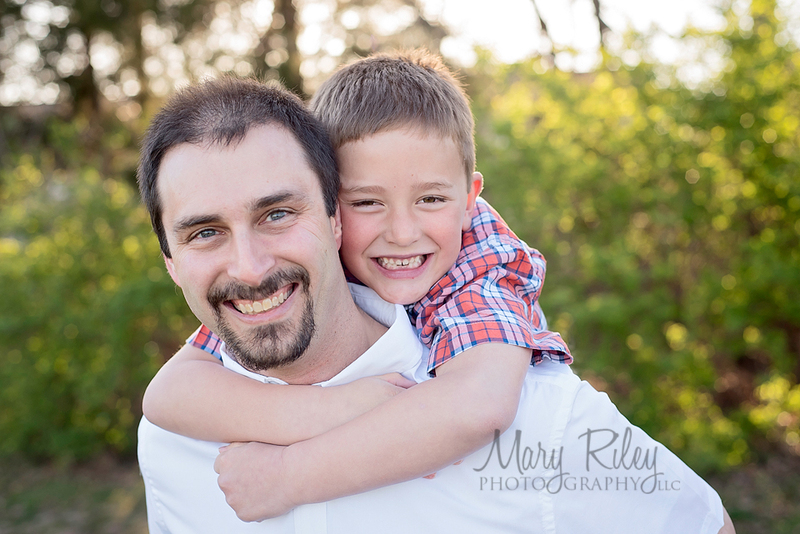 Follow the photo steps in the blog post: Cut out a 3″ circle. Dollop 1 tsp. of filling in the middle. Fold over 1/3 of the circle, but you can still see the filling. Fold over the other 1/3. Finally tuck under the final one third. If you wish, you can store in the freezer on cookie sheets until the oven is up to temperature and all the cookies are ready to go. Bake the cookies for 20 minutes or starting to get golden brown on the edges and/or bottom. Store at room temperature in a sealed container. Since there are preserves, I will store in the fridge if left out more than one day, but that is my personal preference. Good morning everyone! 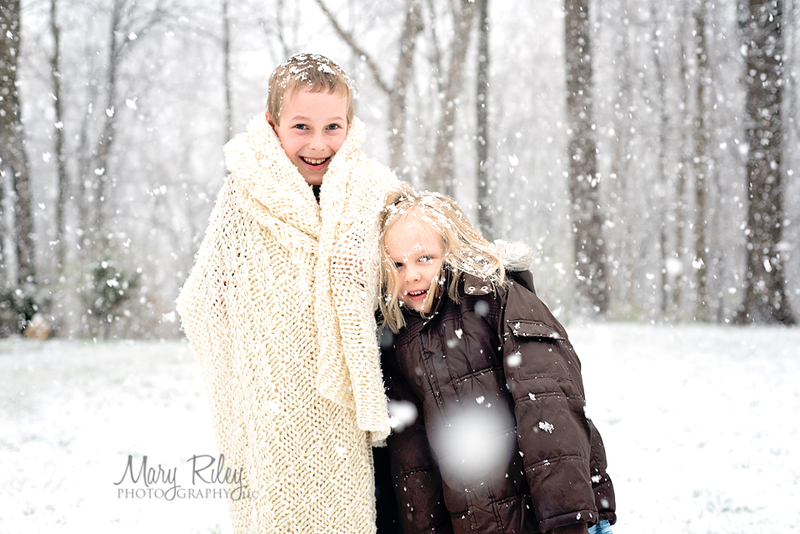 It was a little disappointing this morning after yesterday’s beautiful “hamster sized snowflakes” fell from the sky. But, this smoothie will make up for that! 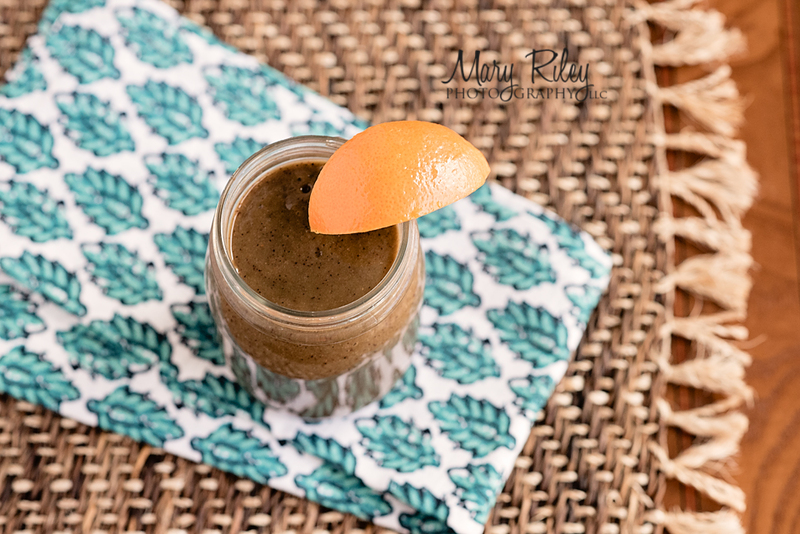 This smoothie was created to use up my favorite super foods in the refrigerator and to keep us all healthy this month. It seemed many were falling down with the flu or stomach bug, so we threw in our super foods, blueberries and spinach, and made it taste great with my biggest smoothie secret — the rind. 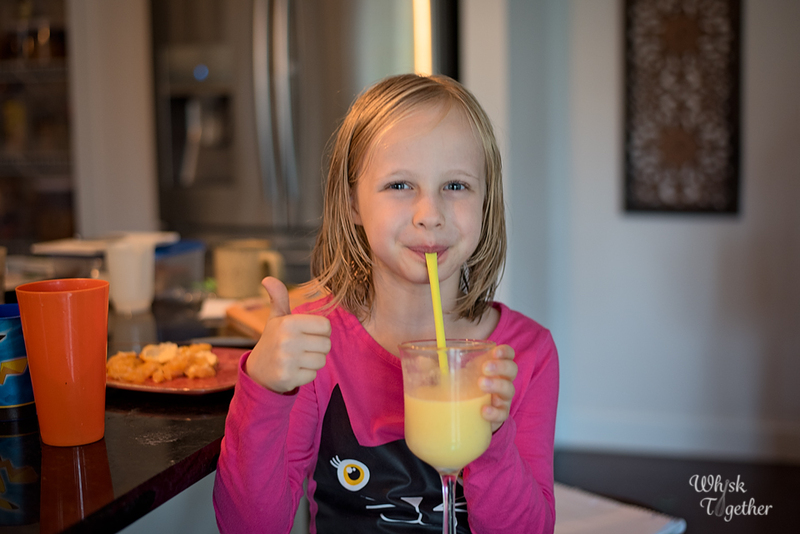 My kids love orange juice. Most do. And this smoothie tastes like orange juice! Why? Because I throw in half the rind of one orange (cut up into 1″ pieces). The Vitamix blends that all together into one smooth smoothie. I serve these often when we make “brinner”. It’s difficult to find veggies to go with some power protein waffles… but the smoothie has vegetables, fruit and tastes great with the menu. Plus it is fast and easy with little clean up! The blender does better if the frozen fruit thaws for 5 minutes or so. Or if you are impatient like me, put in the microwave on high for 1 minute. The banana can make or break your smoothie! Yeah a banana. If there aren’t enough sweet components, a banana can make your smoothie awesome. But if your banana has a lot of brown spots, the banana taste can really overpower everything. I like my banana yellow with no brown in smoothies. That way some of the starches have converted to sugars, but the super sweet banana flavor doesn’t overpower the entire smoothie. If the smoothie is not cold enough – add a cup of ice! Smoothies taste better cold to me anyway. If the smoothie doesn’t taste great, add a quarter of a lemon or half of an orange – the rind and all. This gives the smoothie a clean, fresh taste. Add the ingredients as listed or recommended on your blender. I put my machine on “Smoothie” and hit start. For non-smoothie blenders, start slow. After about 30 seconds, turn the machine up slowly to high. Stop the machine and use a spoon to push items down towards the blades if needed. The smoothie should form a tornado for 30-60 seconds and you will know then it is ready. Add ice to make it colder. I always add ice especially if my ingredients are not frozen. 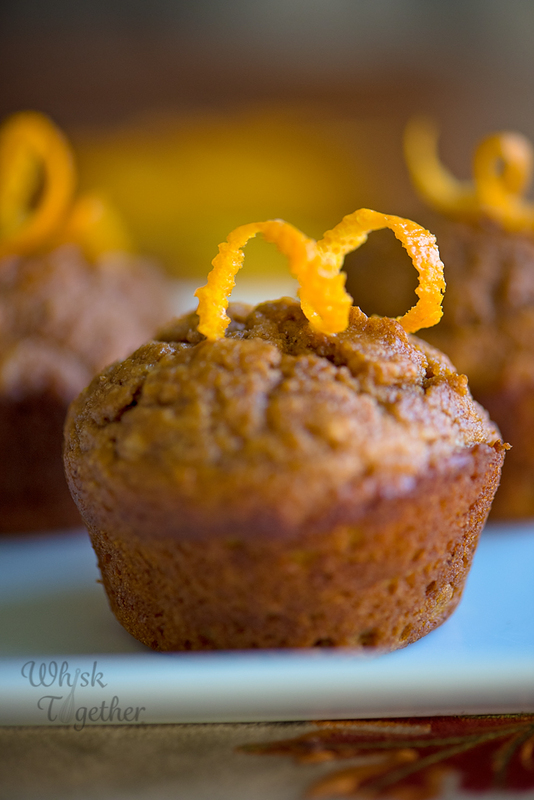 I really like Cara Cara oranges in this recipe for their texture and flavor. Any orange will do as long as it is juicy and looks fresh. [br]If you are purchasing just a few lemons or oranges for smoothies, consider buying organic ones. I am not a huge organic fanatic by any means, but it does make sense to try if you are buying them just for smoothies since the skin is being consumed. Firstly, I wanted to wish you all a very Merry Christmas. No, I am not blogging on Christmas morning 🙂 These blog posts are usually written and then scheduled for the morning. Some of us are busy. Some of us may finally have the time to sit and read a blog post instead of going off to work. So, I decided to post this cake which may save someone if they need a quick dessert or breakfast to bring to someone’s house this holiday weekend. 2. I have used this recipe for breakfast and dessert and snack. 3. You can make this the day of or the day before you need it. 4. 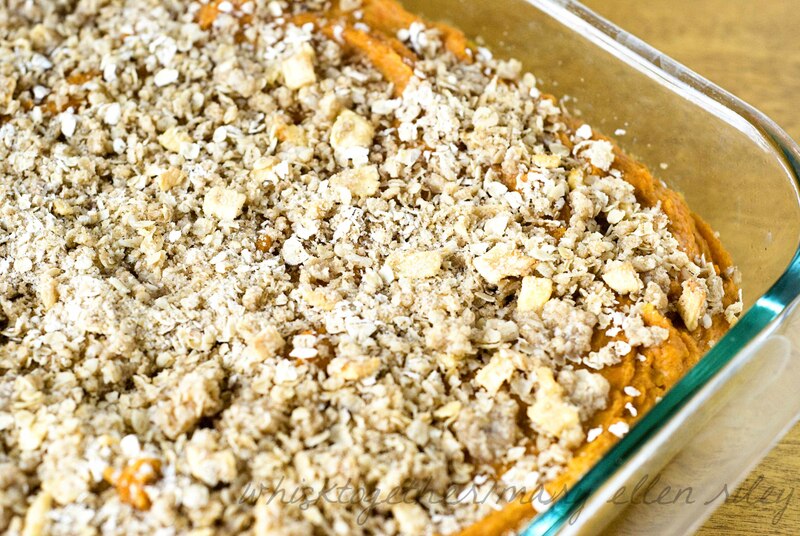 It is a little like a pie… but without the need for a pie crust. 5. Kid approved too! 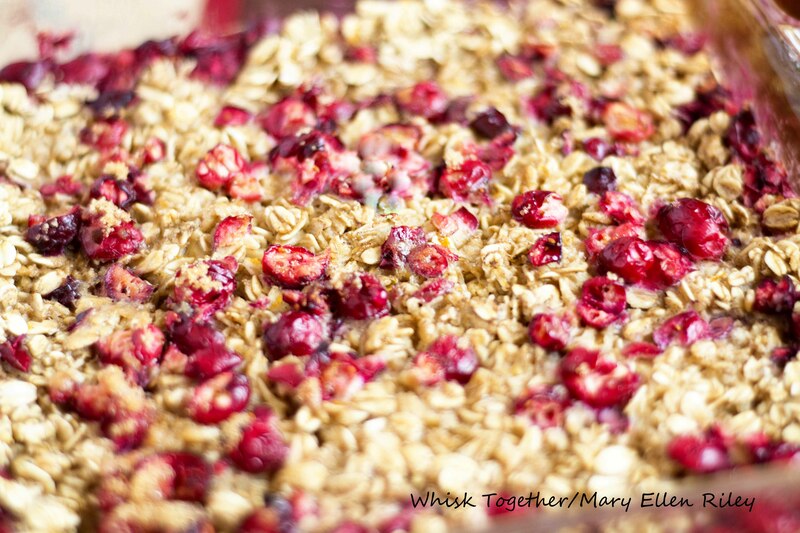 My kids love this and eat it whether I make it the original way or the “healthier” way. Freezing fresh cranberries yields great results. As mentioned above, I found bags of fresh cranberries at Aldi for 25 cents each. I stocked up and froze them in ziplock freezer bags. To use them, I thaw them in the fridge first overnight. 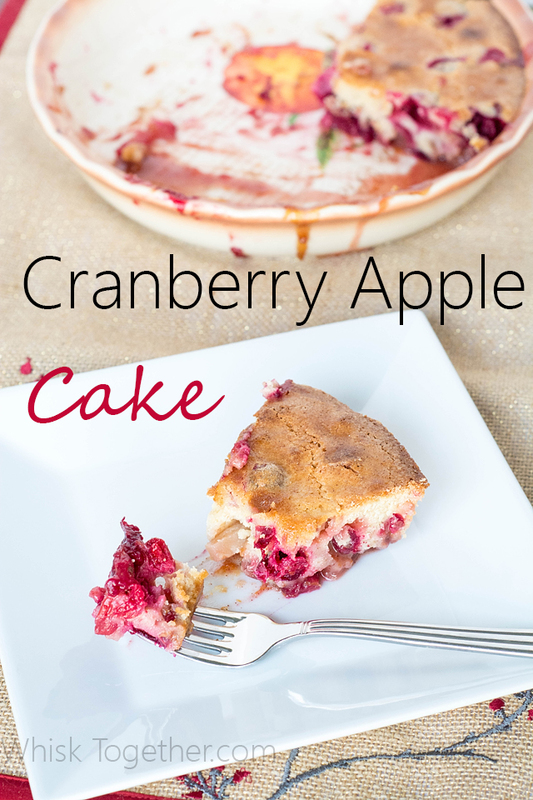 I am sure you could use them frozen and just watch the cake baking time – it might take longer to bake with frozen cranberries. I do this all of the time with frozen blueberries. Keep in mind, I have lowered my tolerance for sugar/sweets. So, the original brown sugar content was too sweet for me and I lowered it to 1/4 cup. Some reviewers of the original recipe complain that the 1/2 cup of brown sugar is not sweet enough. I believe this is all your preference and what you are used to. I noticed NO discernible difference between using all-purpose flour and white whole wheat flour. Again, my family is used to eating almost all whole wheat/whole grain products. So, again I think it is all what you are used to. If you want to try white whole wheat, go for it! #1 First try was with all butter: of course it was delicious! Nice buttery background flavor to the cranberries. The top had a slight crunch with cake like interior that melts in your mouth. #2 Second try was with 4 Tb. melted butter and 4 Tb. applesauce. I couldn’t tell much difference. The finished product tasted very similar. 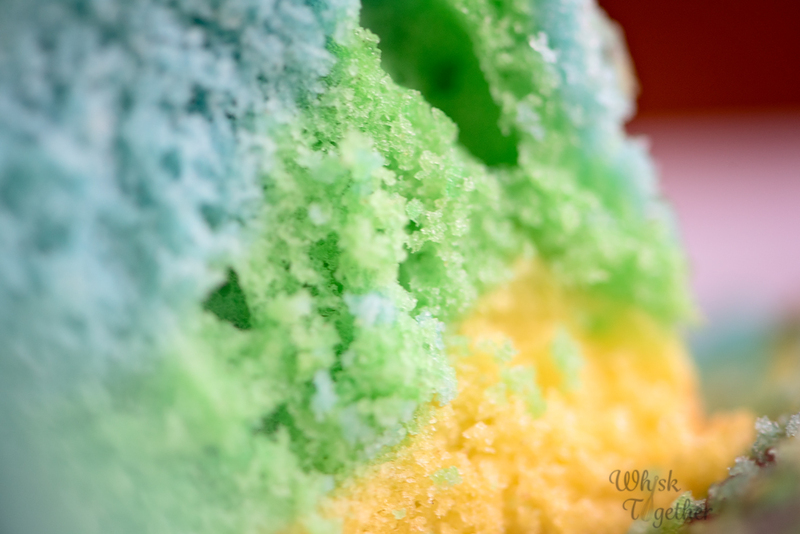 The texture was slightly more gummy than the airy all butter #1 cake. #3 Third try was with all applesauce: it was delicious too! 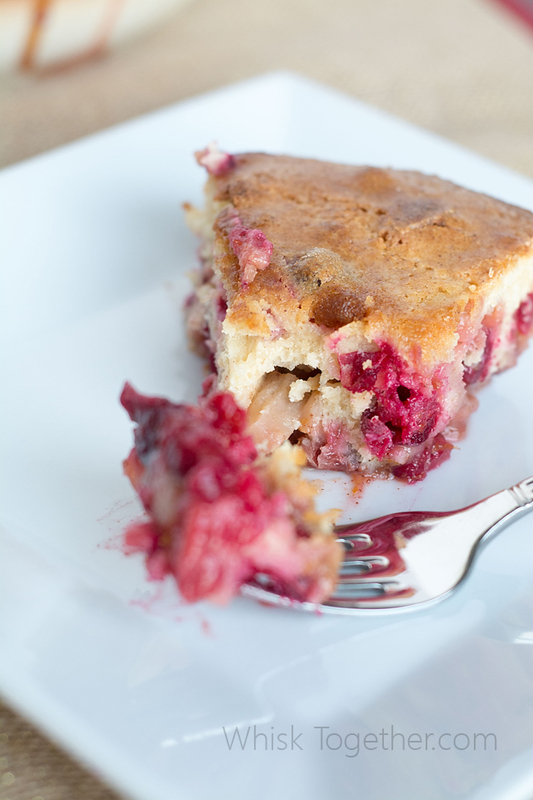 The cake part was a little more gummy as is typical with substituting applesauce for oil or butter in most recipes. The slight crunch on the top was gone completely. The taste was very good and you definitely taste the cranberry. The butter flavor was gone… but without eating the pies side by side, I didn’t miss it. For serving guests, I make version #1 because it is delicious and decadent. 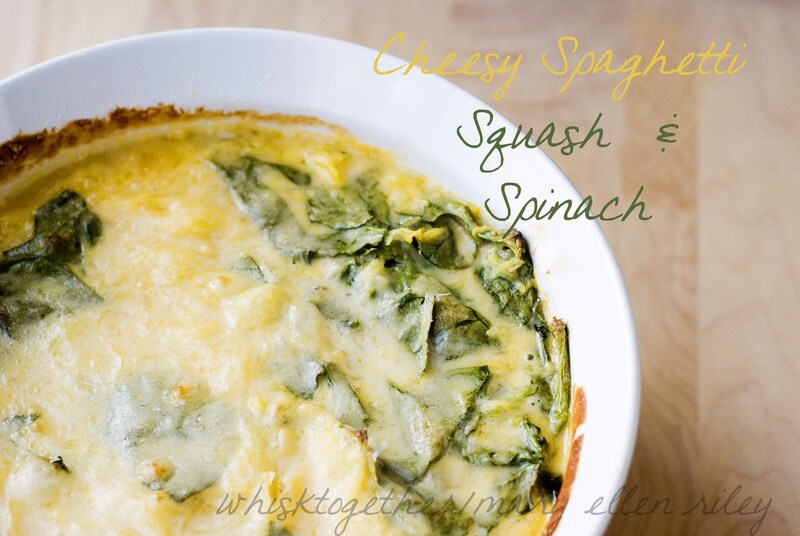 If I make this recipe for close friends or family, I go ahead and make version #3 because it is more economical as well as fewer steps in the recipe. Spray a 10″ or 9.5″ ceramic or glass pie pan with cooking spray. Set it on top of a rimmed cookie sheet or rimmed pan. 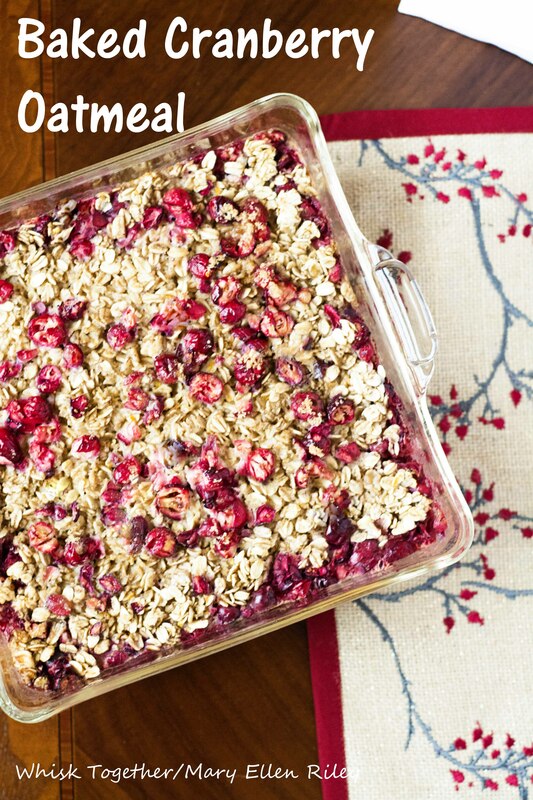 In a large bowl, toss together cranberries, chopped apple, 1 tsp. cinnamon and brown sugar. Zest the 2 oranges to get 1 Tb. of orange zest. Now, cut them in half and squeeze out 1/4 cup of orange juice. Pour into pie pan. In another large bowl, beat the eggs with a mixer for 2 minutes on medium-high. Add 1 cup sugar, butter (or applesauce), vanilla and sour cream (or Greek yogurt). Beat on medium until mixed together. On low or “stir”, add the flour and salt. Mix until it just combines. Pour this batter over the fruit. Mix together the other 1 Tb. of sugar and 1/8 tsp. of cinnamon. Sprinkle on top of the cake batter. Bake 55-60 minutes. The top will be a pretty golden brown. Wait for this cake to cool an hour or two. I like mine cold from the fridge similar to how I like to eat apple pie. Or, warm it up. Or serve while warm with whipped cream or vanilla ice cream. Or simply serve for breakfast or quick snack. 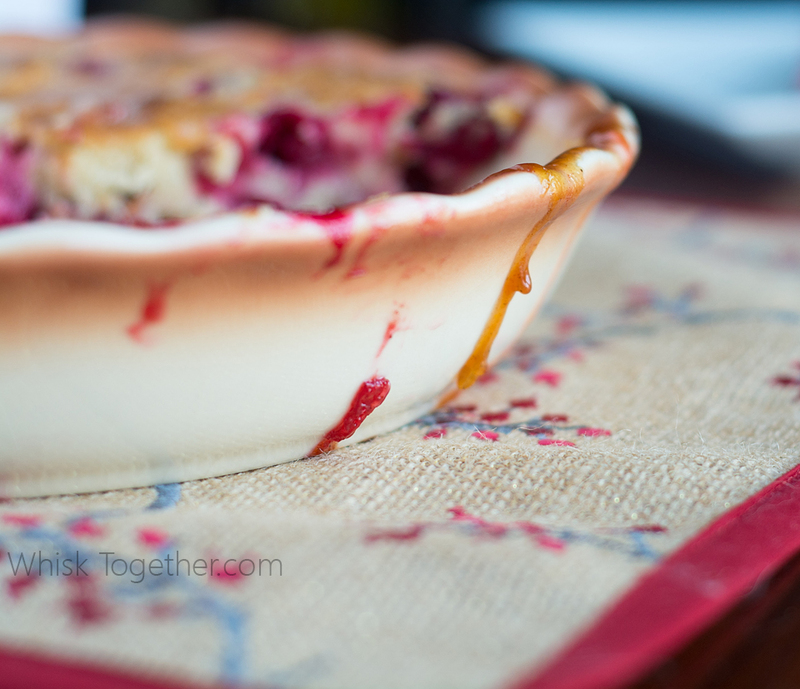 Cranberry sauce is a nice side dish with most meats at Christmastime. Even though it is a traditional “Thanksgiving” side dish, I really like to make it also at Thanksgiving. 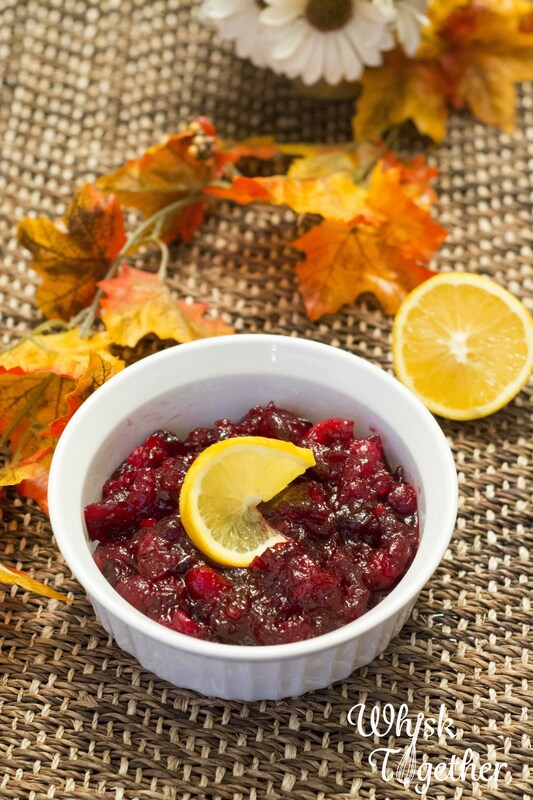 The flavor and texture of cranberry sauce tastes fantastic with ham, turkey and chicken! 2. You can make it 1-2 days ahead of your party. 3. The flavor and texture is a little different than standard sauce – I like that. Put a medium pot on the stove. Set aside 1/2 cup of the cranberries. Add the rest of the cranberries to the saucepan with the sugar, orange zest, orange juice and water. Add the spices: cinnamon, allspice and nutmeg. Stir together. Cook on medium heat for 12 minutes. Gently stir and smash the cranberries. They will burst. Turn the heat down to low. Add the reserved 1/2 cup cranberries. Stir together. Add any sugar, salt or pepper to taste. Remove from heat and serve once cooled off. Or let cool on the stove and store in the fridge until ready to serve. Exercise/Diet Update: How I lost 5 pounds this week. 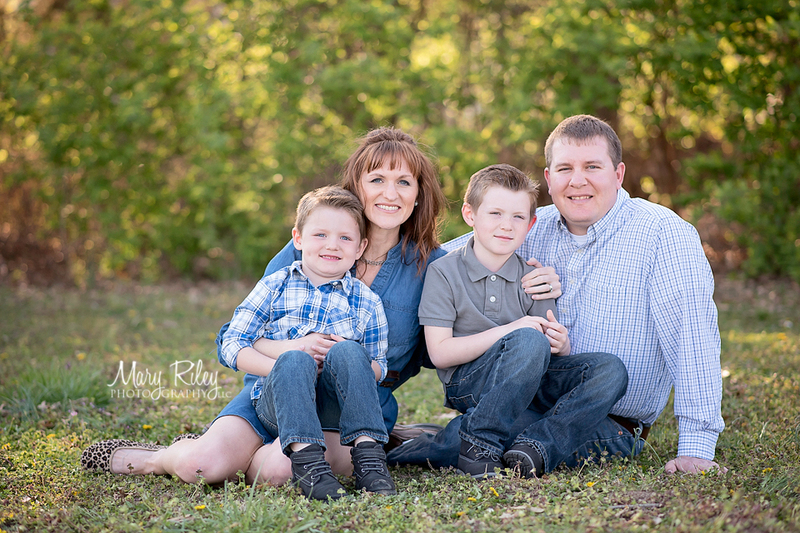 I know many readers here have subscribed or came from my “How I lost 33 Pounds…” blog post that went live on Money Saving Mom last year in July..
2. So, the vegetable broth is kinda gross. It’s something to consume I guess. But after all the hassle, I gave up on it after day 2. Personally, I think it is included because after drinking it… you pretty much lose your appetite. If I had to lose more than 5 pounds, I would have stuck to this part more I think. 3. The “no wheat” rule went out the window on day 3. I ate my 35 calories piece of toast, and I liked it! And still lost weight. Call me Wheat Belly. 4. I followed the no eating rule between 8am-8pm. Brush your teeth after dinner – it makes it easier. 5. I lost weight fast because I did this diet in conjunction with several workouts including a 1000 calorie workout, 45 minutes on the elliptical, walking more and continuing to workout 5 days per week. Eating 1300-1500 calories per day and burning 200-500 calories per day created a large deficit. 6. If you can’t workout for an hour and 20 minutes, then don’t. Just workout for 20-30 minutes. The weight will come off slower, but that’s okay. 7. Breakfast: I used ground flaxseeds instead of flaxseed oil in the recipes. I loved them all and surprised how good the pumpkin one tasted. 8. Lunch: This was a lean protein and some salad of spinach and tomatoes. Or Greek Yogurt. The diet plan says to eat it plain Greek yogurt, but that’s just gross too. So, I ate the Chobani all natural Greek yogurts with fruit. And more tomatoes. I hard boiled a bunch of eggs for lunches as well. 9. Dinner: Pretty much what we normally eat: protein and veggies. I made BBQ Turkey Chili in the slow cooker which is heavy on the tomato and light on everything else. I had salmon, chicken, pork tenderloin and more eggs. For sides, I had more salad or broccoli with some quinoa. We ate out once at Ruby Tuesday – that is a great place to find lower calorie options with chicken, fish or steak and lots of tasty vegetables. You can definitely taste that they do not heavily butter their vegetables or at least not the green beans and broccoli. They taste steamed and the squash looks roasted. Lots of green tea, coffee and lemon water! I weigh myself after I wake up. It’s fun to weigh yourself before and after a good workout, too (before drinking water). Why? Because after a good workout, I weigh less! Why? Because fat does NOT exit the body as fat. Fat exits the body through about 80% carbon dioxide (breathing) and 20% water (peeing or sweat). Which is why you can weigh less after a workout. The 80%/20% comes from using stoichiometry – which hurts my head remembering high school Chemistry. Recipe: Well… this recipe is not on the Total 10 diet because of the carrots and oranges… But…. this soup was velvety, flavorful low calorie and zippy. I have never had oranges in my soup! 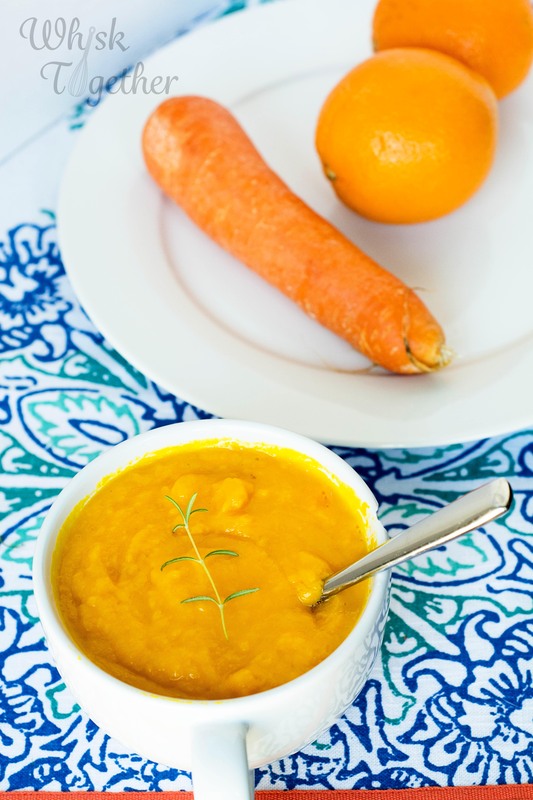 Packed with Vitamin C and fiber from the oranges and Vitamin A from the carrots, this soup would be perfect for a summer day or good for the immune system if you are feeling like you might be getting sick. 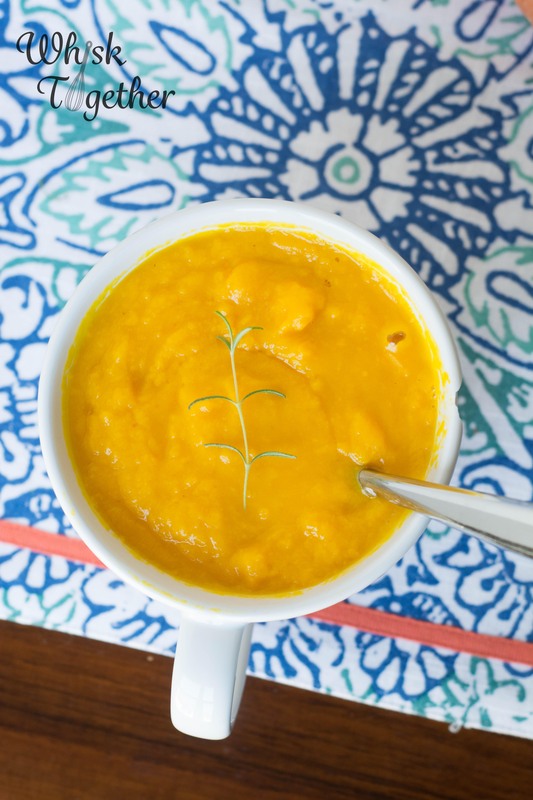 Using 8 serving sizes as a guide, this soup has 99 calories, 452 mg of potassium, 2.2 grams of fat, 70% Vitamin C, and 193% Vitamin A. We made this soup on the stovetop for the most part. But, we also made a tomato basil soup cooked in the Vitamix blender that was delicious and will post that as well. Crazy how hot it gets on the soup! Note: When I ate this the next day, the soup gelatinizes (is that a word?) and becomes much thicker. Thin with broth and reheat, or eat as is. For both methods: Heat up a large skillet with butter over medium heat. Add the carrots, onion and ginger. Cook until soft – about 6-8 minutes. For Vitamix blender: Add 2 cups broth and simmer until tender – about 10-20 minutes. (Depends on how small the carrots are.) For Stovetop method: Add 4 cups of broth and orange zest and simmer until tender – about 10-20 minutes. 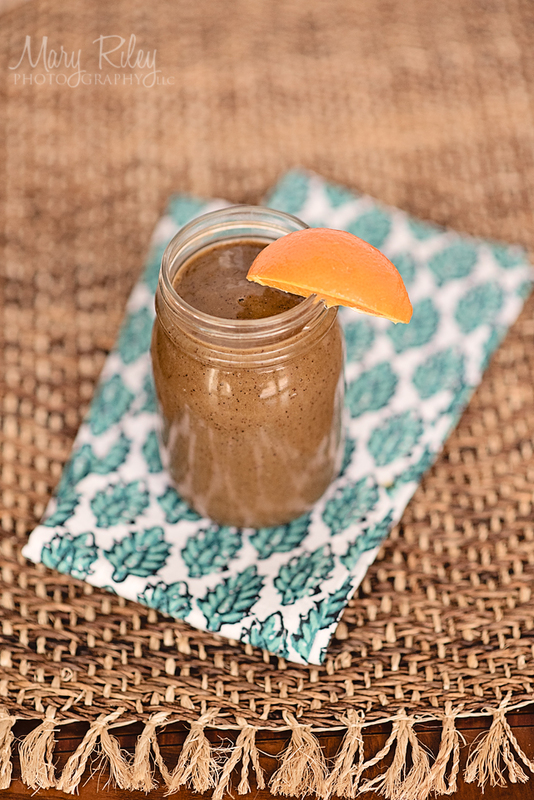 For Vitamix blender method: Add the hot vegetable mixture, oranges and orange peel to the blender. Turn it to Variable 1. Then, to maximum 10/high and blend for 45 seconds. Add 2 cups of more broth until it is as thick or thin as you like. Add salt and pepper to taste. 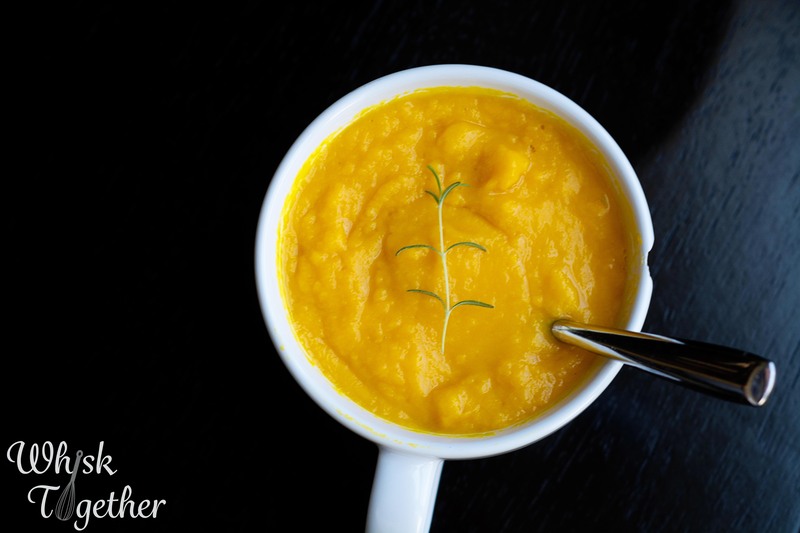 For Stovetop Method: Puree in a blender, food processor or use an immersion blender. Stir in the 1/2 cup orange juice. Heat through over medium heat – about 2-3 minutes. Add salt and pepper to taste. We won! 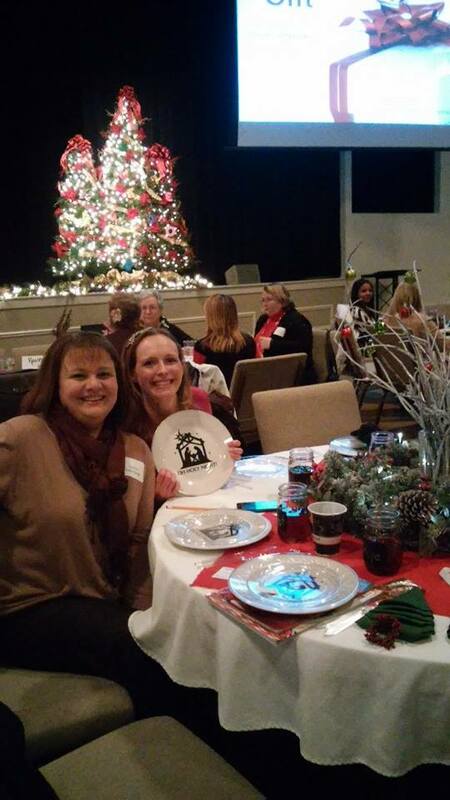 Our table at the Women’s Christmas Dinner won for best decorating! Tammy and I took it down before photos, but I promise to recreate the fun Christmas tree napkins and centerpiece. 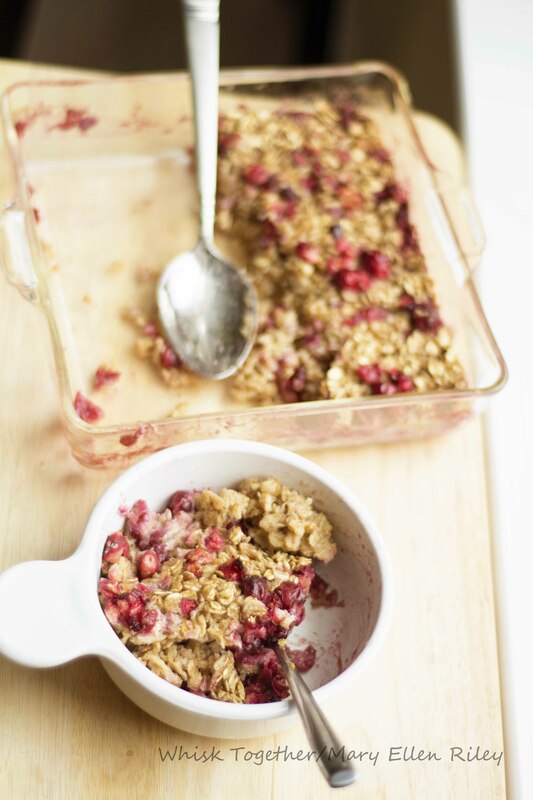 Recipe: I love my baked oatmeals! I love pumpkin oatmeal, and blueberry oatmeal and peach oatmeal and simple oatmeal! And now we have one for winter! 🙂 The oranges are sooooo good this time of year and cranberries are everywhere. You can just use the ones you frozen before Thanksgiving or use fresh ones. 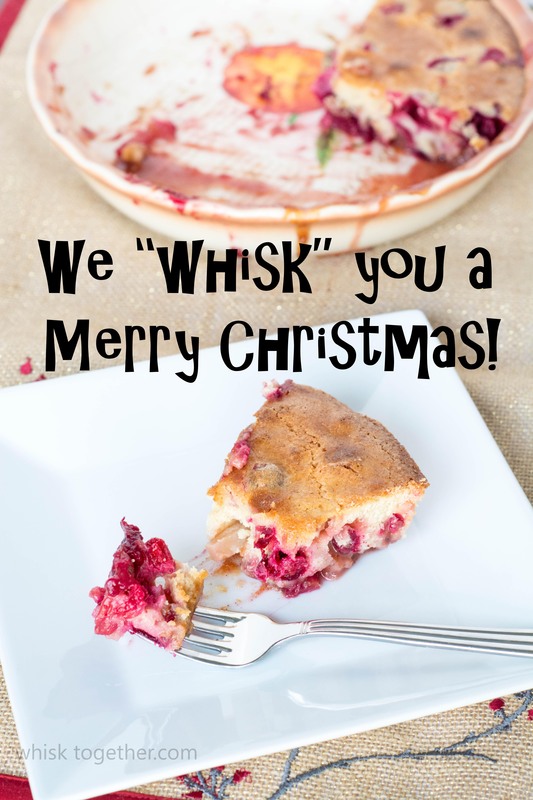 This would make a great make-ahead breakfast, a breakfast for Christmas morning that is healthy, a helpful freezer meal for a friend (freeze after baking), or simply enjoy for dessert with a little warm milk. Juliana and I devoured this in just a couple of days! **If you find the oatmeal recipes too bland, simply add some brown sugar on top. It all depends on how sweet you want your oatmeal to be. Preheat oven to 350 degrees or convection oven to 350 degrees. Spray a 9x9" pan or a 1.5 qt. casserole dish. Sprinkle half the cranberries on the bottom of the dish. In a great big bowl, mix the dry stuff: oats, cinnamon, orange zest, baking powder and salt. Add the wet stuff: milk, eggs, half the brown sugar and vanilla. Stir in the rest of the cranberries and reserve a few for the top if you like. Stir in the nuts if using those. Now sprinkle the rest of the brown sugar on top. Put in the fridge to bake in the morning, OR put it into the oven for 35 minutes and the middle is set and not jiggly. 1. Preheat oven to 350 degrees or convection oven to 350 degrees. 2. Spray a 9×9″ pan or a 1.5 qt. casserole dish. 3. Sprinkle half the cranberries on the bottom of the dish. 4. In a great big bowl, mix the dry stuff: oats, cinnamon, orange zest, baking powder and salt. 5. Add the wet stuff: milk, eggs, half the brown sugar and vanilla. 6. Stir in the rest of the cranberries and reserve a few for the top if you like. Stir in the nuts if using those. Now sprinkle the rest of the brown sugar on top. 7. Put in the fridge to bake in the morning, OR put it into the oven for 35 minutes and the middle is set and not jiggly. 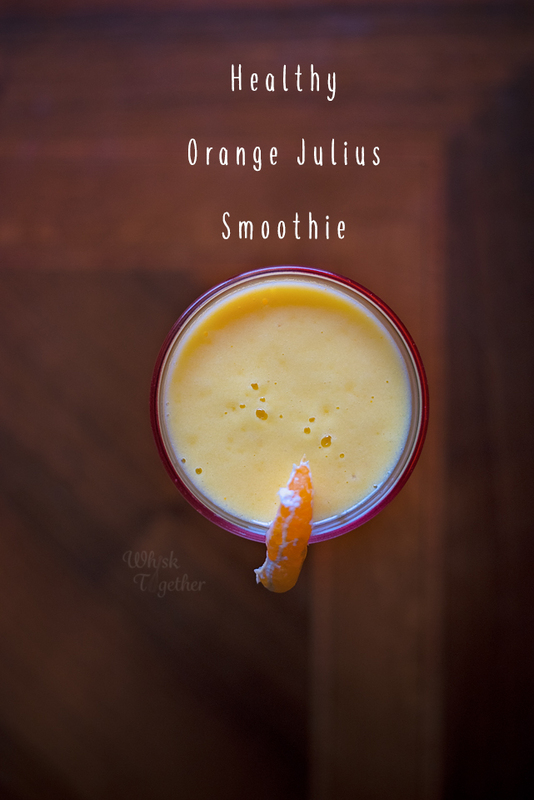 Recipe: Back when I was little, Orange Julius was a favorite treat. Though I don’t really care for it nowadays… which is strange. Maybe it is the foam. But this version doesn’t have foam! I love it. It is fresh and the kids loved it, too. 1. Freeze the first 6.5 ounces in a ice cube tray. 2. Now take everything – including the frozen OJ and leftover non-frozen OJ – and put it in a blender and blend until smooth. Voila! I believe I tried this recipe years ago before when I saw it on Good Eats. I used regular OJ out of a container instead of fresh squeezed. It didn’t taste exactly like an Orange Julius. This version where I squeezed the juice and froze a whole bunch for later use worked great. Oranges have been on sale at Aldi recently, so there was plenty to go around and try this out.